This adorable CHARM IT! 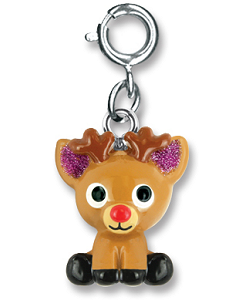 Baby Reindeer charm is sure to put you in the holiday mood! 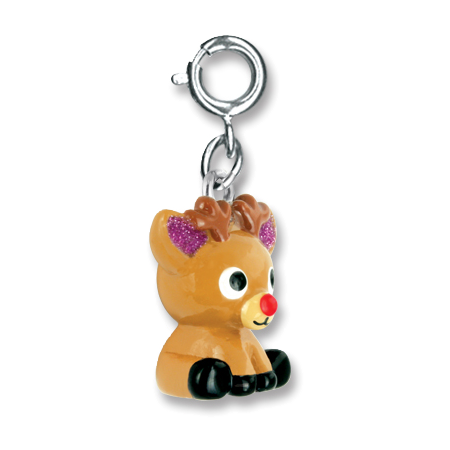 With a 3-dimensional body of light brown enamel, this sweet reindeer charm has enamel features including black hooves, darker brown antlers, and a shiny red nose. 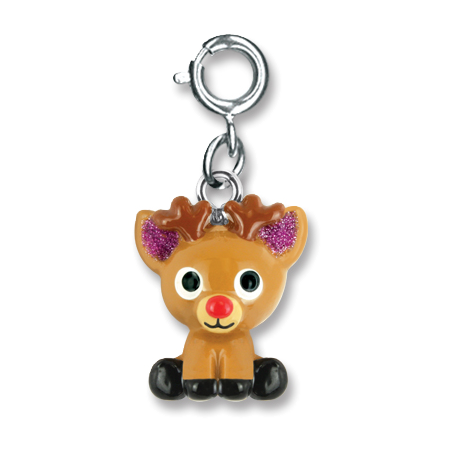 Those soft black eyes and cute smile let you know this reindeer charm is special even before you notice its amazing glittery purple inner ears. This CHARM IT! Baby Reindeer charm makes it so easy to change the look of your charm bracelet to match your mood or outfit - and even the season - as all it takes is a simple snap of the clasp. This colorful CHARM IT! Rainbow Candy Cane charm adds a festive splash of holiday spirit in a rainbow of colors.